Today we took four pupils for Voi Divisional Athletics Competition held at Voi Boys Secondary School. Margaret Mwake managed position 4 out of 10 in triple jump, John Mwandege was position 8 out of 15 in 3000m, Saidi Ali was no 5 out of 10 in triple jump. Jane Mwakima was position 1 out of 15 in 3000m. She will represent us in Sub-county scheduled for 29/3/2018. 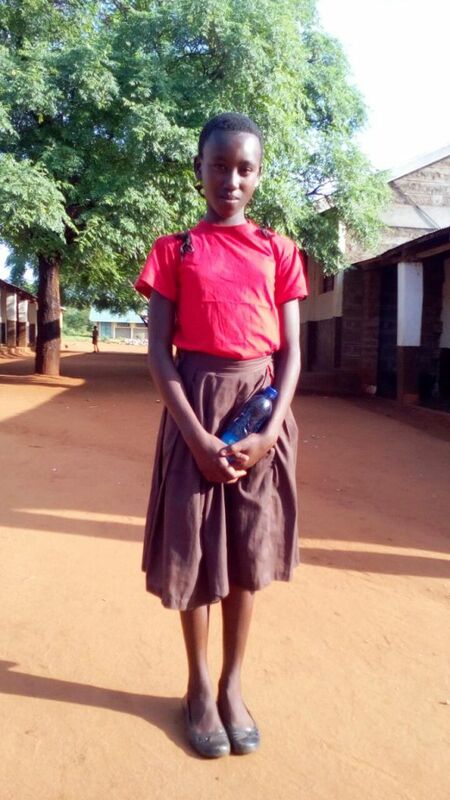 Below is a ‘photo of Jane Mwakina just before leaving for Voi to represent Kileva Eastfield Primary in Voi Sub county Athletics Games today. Day two end of term exam in progress. Pupils are doing science and kiswahili. End term of exams started today. These are intended to end on 29.3.2018, then the school to break for Easter. Mdm Kelly, Health Club Patron, assisted by Mr Mazai. Here you see pupils cleaning their toilets then washing their hands after the exercise which was supervised by Mr. Mazai, who is the Health Teacher Assistant Mdm Kelly. We lack proper materials for cleaning the toilets. Below are learners happily being served food after having washed their hands thoroughly. They are eagerly waiting to go for Easter Weekend. Happy Easter to you all. Through Maggie ,on behalf of the First Aid and Health Club plus Wildlife Club, we sincerely appreciate f. or recognizing our efforts to help our school grow, and also for the kids to get support. we are very grateful for appreciating our efforts for the betterment of our school, and we still want to work hard and make sure that we surpass your expectationsWe promise to be more active and innovative in anything that concerns the school for you to get updates. 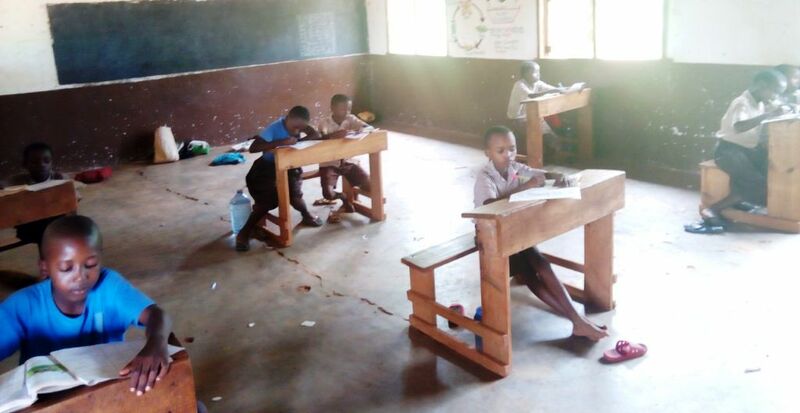 The latest School Curriculum, which is mainly known as the CBC (Competence Based Curriculum) and is mostly based in talent nurturing, has helped the kids to do what they do best, and they seem to enjoy it. The kids do modelling and learn everything naturally. Grades 1 &2 sing , do movement and creative activities. In it there are many subjects like religion, art enticingly drawing and painting, and many more subjects. For example aboveis a child doing creative work which also in some way can be an environmental lesson. 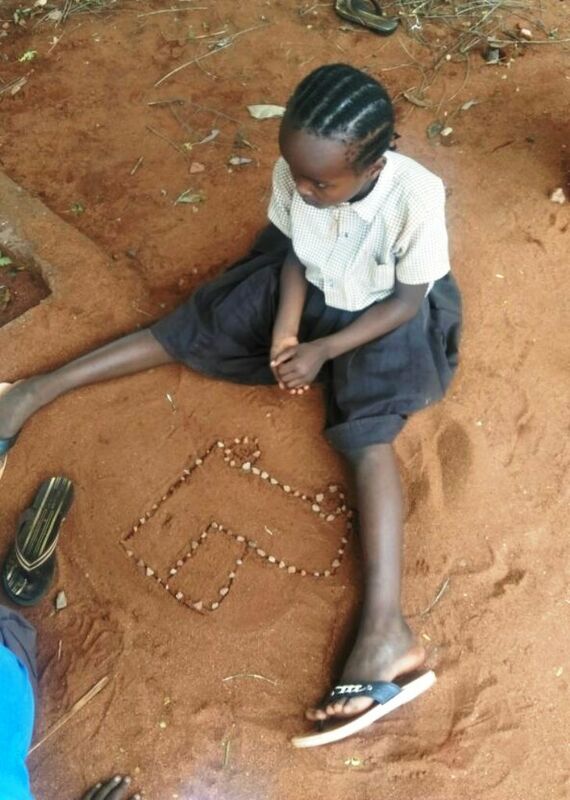 She’s creating a car using pebbles. Learners enjoy this system well. Madame Kelly assisted by Mr Mazai. The Wildlife Club, which is a newly formed club in the school, decided to plant trees in the whole school compound. This was done from Pre primary 1 to class 8. The whole school which consists of more than 110 pupils managed to plant their trees. Each child takes care of their tree by doing mulching and watering daily in the morning and in the evening. The trees are going on well. 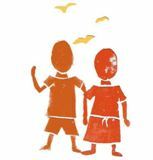 We the patrons offer support and do follow ups with the kids. Currently we are targeting to register the whole school to become wildlife members whereby the kids will access cards that will enable them to go visit the parks for free. Also the school gets a recognized certificate from Kenya Wildlife service. So far we have recruited more than 50 kids whereby they have paid each 50 shillings. The Patrons look forward to come up with more activities to conserve the animals and environment at large. First Aid/ Health patron assisted by Mr Mazai. We as Health Club members embrace in eating healthy. We strive to lead a healthy lifestyle. So in conjunction to this we got greens from the school shamba which is well taken care of by the Elephants and Bees Team just to add to our school diet of maize beans. Below are pupils being directed and led by the teacher to sort the mbogas in order for our cook – popularly known as “MAO” – to cook. The kids enjoy doing this. Report by Mdm Priscillah, Music and Dance Club Patron assisted by Mdm Agnes Mwapulu. Kileva Eastfield Primary School Music and Dance Club make ornaments and musical instruments like drums, jingles, beads, strings and head gears from locally available materials such as boxes, lessos and feathers. They will humbly appreciate if they get more costumes and instruments, so if you’d like to make a donation to help out please go to the Gift Shop tab and follow the links. The Music and Dance Club ushered in the Easter celebrations in a jovial style. There were sweet melodies accompanied by a guitar, from a guitarist a friend of the music and dance club Mr Mtume, a Mwakoma village dancer who taught pupils and teachers how to use the guitar. Then a vigorous dance about “The Importance of Education.” – “Mashomo, Nani waniwangie mashomo.” This was in praise of their Founders, Sir Cliff Evans, Director Mdm Maggie, Teachers and their Head teacher Mr Mwalwala, not forgetting Hon.Godwin Kilele. Happy Easter to all. They also appreciated her for the good relationship she maintained, and they welcomed her back any time she feels like. 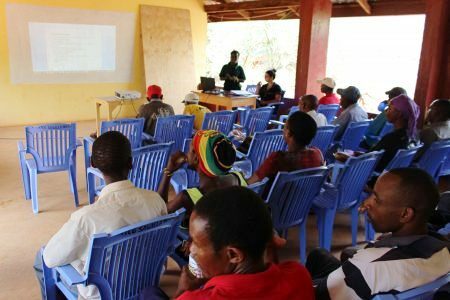 Community-based conservation projects – protecting wildlife while improving the livelihoods of local people – can be one of those rare, truly win-win situations where both local communities and wildlife enjoy the benefits. 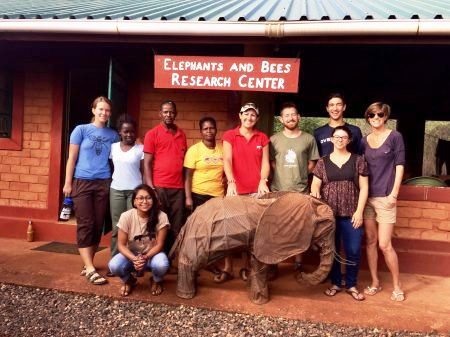 Before I arrived at the Elephants & Bees Project, I figured protection of crops from raiding elephants and additional income from honey production would make for pretty great community benefits. Being virtually safe from the potential of losing your entire seasons crop to a group of huge and hungry elephants must be quite a reassurance. However, I soon came to realise the project offers many less immediately obvious benefits to the locals of Sagalla, the foremost being the incredible sense of community it helps sustain. The research centre serves as a central meeting point for all members of the surrounding villages, often being used several times each week by the various community groups. 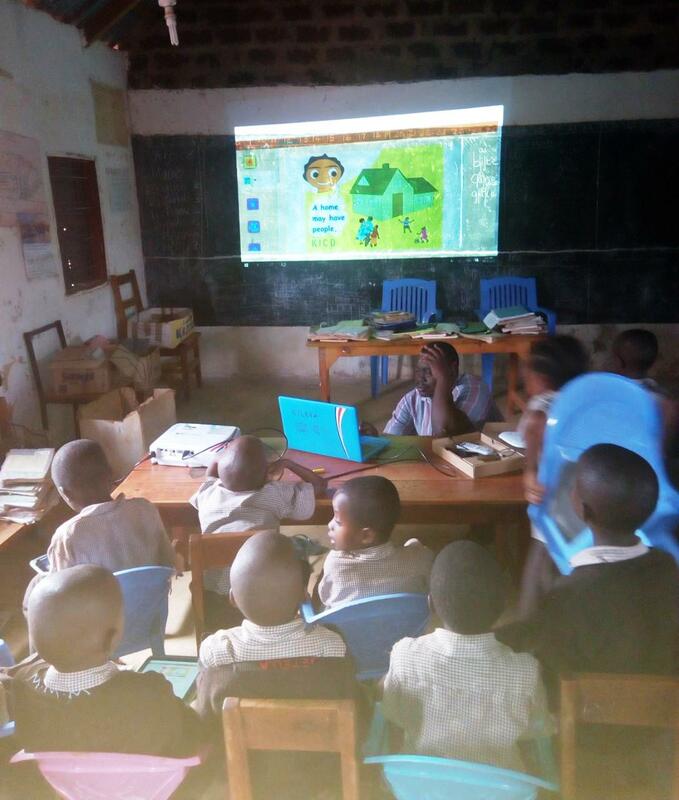 At the local school, the environmental education, weekly movie night and farm club build strong, positive relationships between the E&B team and the schoolchildren – joint after-school football games and high-5s in the street are common events. It’s not just the school children either – wherever you might be, pretty much everyone will greet you and be eager for a chat. The beehive farmers themselves are quite a bunch. Every one hard working and enthusiastic about his or her beehive fence, they are a pleasure to spend time with. 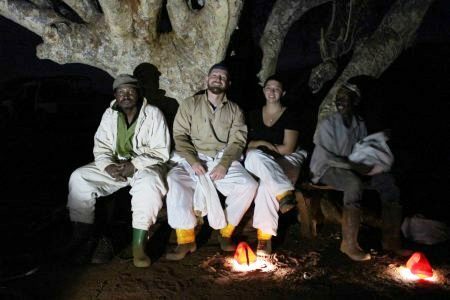 Always accompanying you during monitoring, tracking or night work, they are keen to share anecdotes about their shambas or find out more about how you ended up in Sagalla. I was very much left with the impression that they were envied by many other non-beehive fence farmers in the community. Smiles all round even after a late night tending to active hives. (photo by Naiya Raja). The sense of community and teamwork is also strong within the research camp. With a diverse, energetic, like-minded team, day-to-day responsibilities and issues are quickly taken care of with minimal fuss. Despite the dynamic nature of the camp, everyone is more than willing to get involved and help out with each other’s projects to make sure everything runs smoothly. 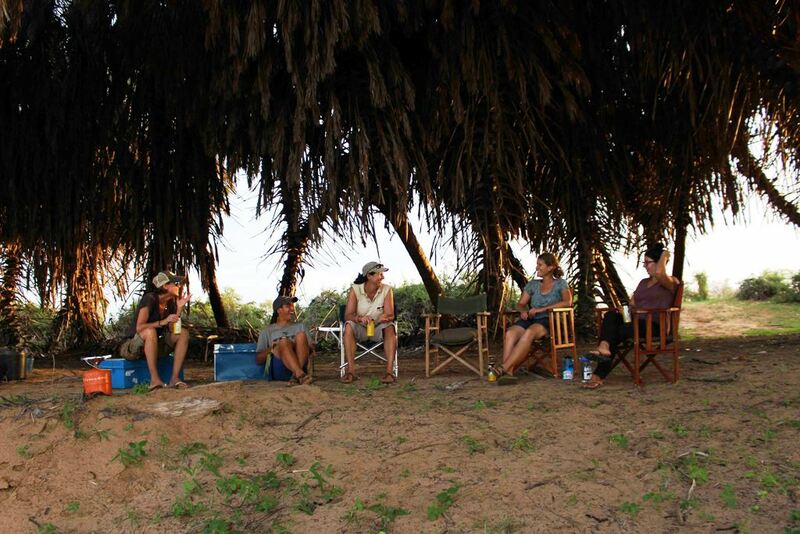 The team spirit persists into the evenings and weekends too – hanging out and relaxing in camp or at one of the surrounding lodges was always great fun. This sense of community – something that is of great importance in any conservation project – has been a definite internship highlight for me. When people share attitudes and work towards the same goals, I believe progress is far more easily achieved. It’s been an invaluable learning experience and quite the exciting adventure – I feel very fortunate to have been part of such a fascinating and successful project, and hope that I can be back in Sagalla before too long!